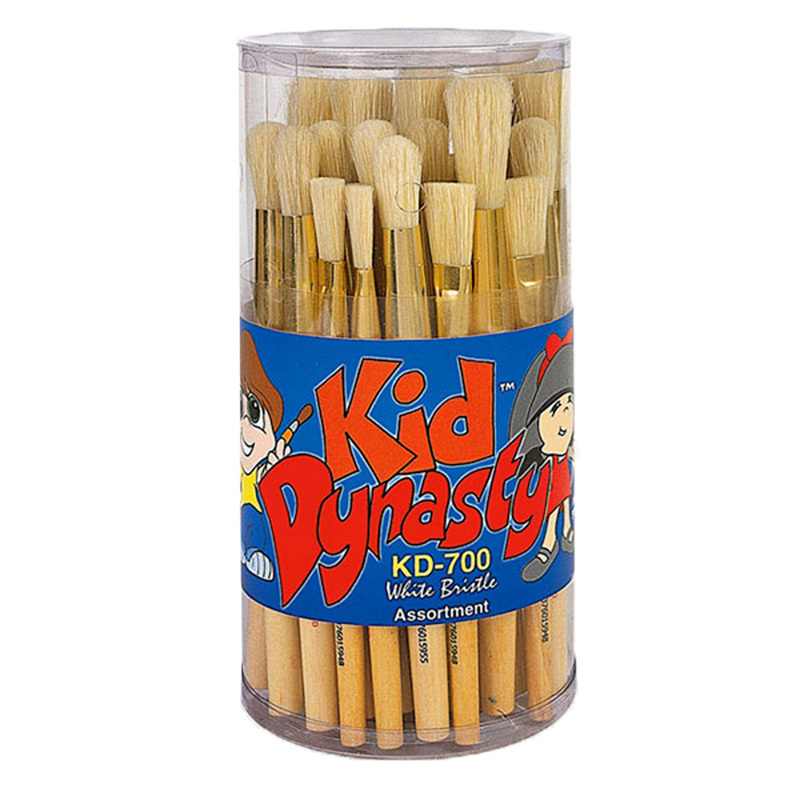 Kid Friendly Black Bristle Short plain wood handle brush assortment features stubby, non-toxic, unpainted handles with rounded end to fit easily in a child's hand. 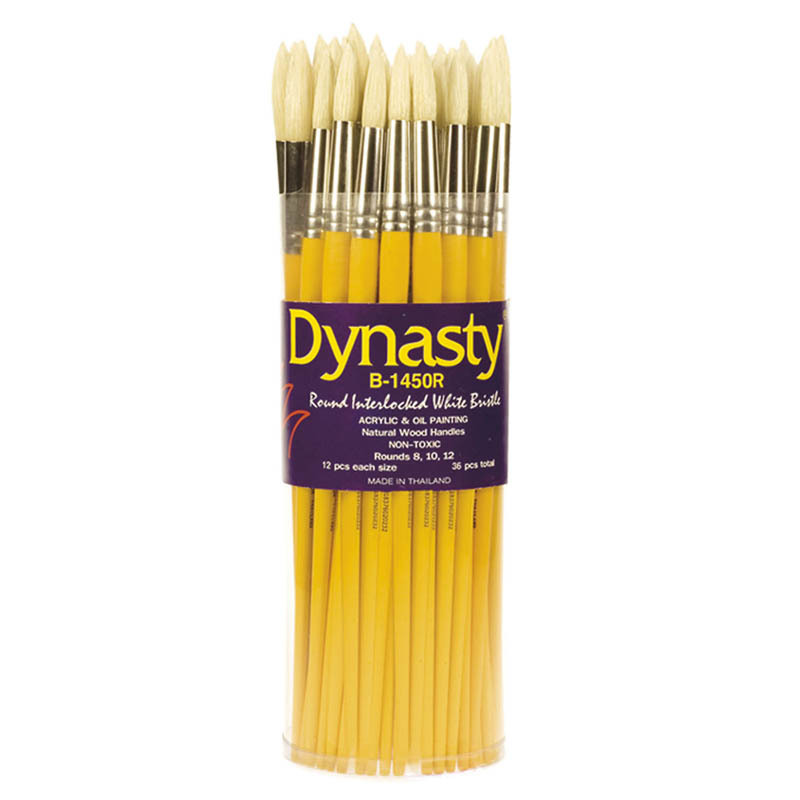 Black Bristle flat assortment moves tempera and acrylics. Each set includes 30 pieces, 10 each of flat 1/2, 3/4, and 1. 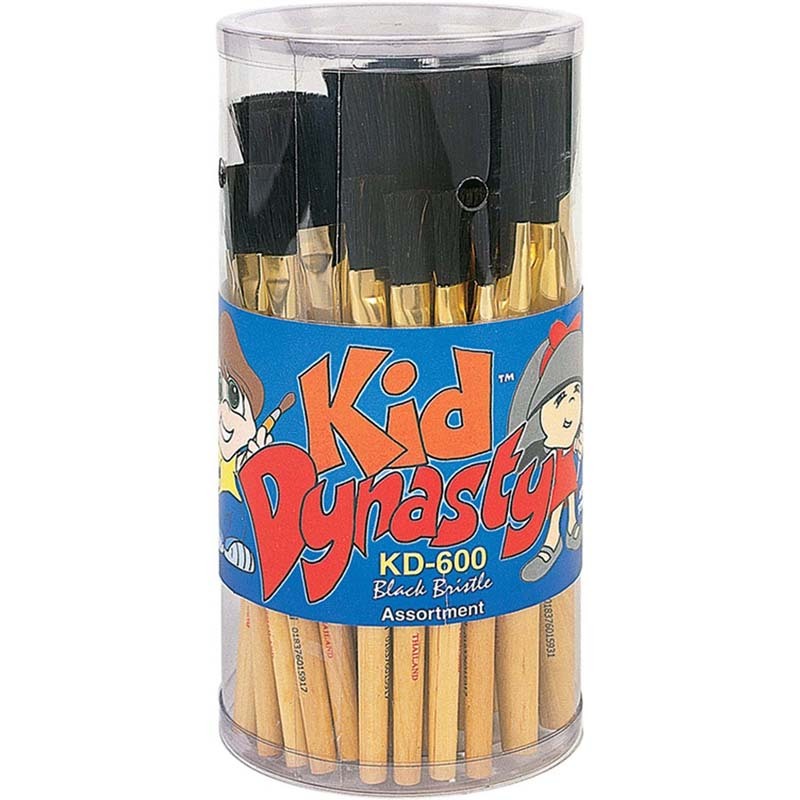 The Kd600 Black Bristle Flat Brushes30 Pc can be found in our Paint Brushes product category within the Arts & Crafts. Globally patented with seal to ensure authenticity.